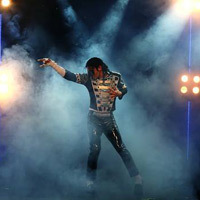 An award winning International live singing tribute to Michael Jackson, Almost Michael has been performing at events & venues all over Europe and has rapidly become the hottest tribute to the late king of pop! This Tribute Show suits any event from small/medium sized venues to town halls, theatres and open air festivals. Every tribute show provides a moving light show, costume changes, explosive dance routines, 100% live vocals (yes.. he does not mime) and above all, one fantastic show. This show can be booked as a solo or with two of his professional choreographed backing dancers. With all the dance routines, unforgettable moves and with the similar vocals, Truly Michael Jackson is performed with excellence. Performing a large repertoire of Jackson's songs including, 'Billie Jean', 'Thriller', 'Smooth Criminal' and 'Don't Stop 'Til You Get Enough', and many many more! Just Like Michael Jackson is universally recognised as "The World's No.1 Michael Jackson Impersonator" throughout the world, including the Michael Jackson fan community itself. 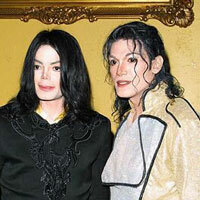 No other impersonator or tribute act has ever come close to achieving what this tribute has accomplished to date. 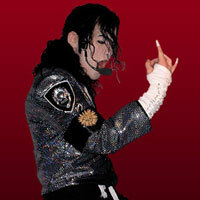 His professionalism and commitment to delivering an 'MJ performance' second only to the man himself - Michael Jackson.